Q: I could really really do with some help I have a 2001 Fatboy 1450cc carb model. My alarm / immobilizer has thrown a wobbly is there a way of completely removing it from bike, reason I am asking I can not get a spark or plug in a fault finder to get a fault code. There seems to be no signal from ecu to fault finder all the wiring seems to be good all the wiring has been check out and seems fine. The motorbike garage, sorry not a Harley garage, seems to think its the alarm system any help much appreciated like a wiring diagram of how to remove alarm I hope this makes sense to you. A: We would not suggest going about it as you mentioned. There are other areas to inspect/test before attempting something so drastic. First, see I’d you can pull up any stored diagnostic trouble codes from your speedo head. You may have a failing crank position sensor, cam position sensor, a bad coil, bad TSSM (turn signal security module. Hopefully not a bad ECM. If your security module is bad. You will need to replace it. Do not attempt to eliminate it from your electrical system. The ECM will still need to detect that a correctly functioning security module is present. I have a 2011 ultra classic when the temp outside is hot and the bike gets heated up the speedo and cruse will quit. when it cools down a little it works again any hints. A: Check your speedo head for stored diagnostic trouble codes. A stored code might steer you in the right direction. How do you check the speedo head for stored diagnostic trouble codes? My understanding is the left as well as the right turn signal switches in a sequence show diagnostic codes. The odometer reset button will start the diagnostic process . ignition on odo button for 5 seconds.or get a book! I don’t have an answer but I do have a question. How do I submit a question regarding a problem with my bike? I’ve tried before but evidently it didn’t work. Hi, Elwin. 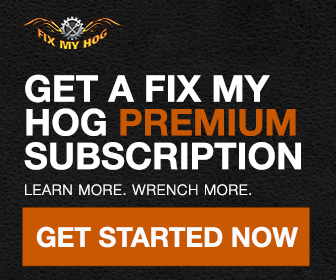 You may follow this link to submit a question: http://www.fixmyhog.com/contact-us/. If you have any further questions, please contact us at 1-855-231-0653. I have a problem more than a commit. am I in the right place, don’t want to run over any one.